A graduate of Queens University of Charlotte, Mark delivers a strong background in account management that has included time at Chip Ganassi Racing, NASCAR Media Group and Octagon. 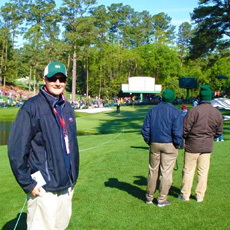 While at Octagon Mark managed MLB, NFL and NASCAR programs for Bank of America with a focus on consulting and event management/activation. Mark’s roles at RSMG include day-to-day consulting and account/event management for Head & Shoulders❜ MLB and NFL initiatives as well as for Barclays’ NFL Extra Points credit card program. Mark also assists with research and creative development for other P&G brands such as Tide, Duracell and Old Spice.